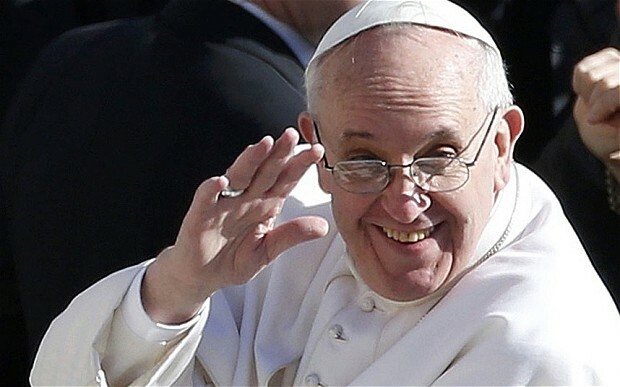 Moscow, March 13, Interfax – Patriarch Kirill of Moscow and All Russia has congratulated Pope Francis on the anniversary of his election as pontiff. “The first year of your tenure as pontiff was marked with high hopes and important initiatives in the Roman Catholic Church. The wish of Your Holiness to make the presence of evangelical ideals in the life of modern society is already bearing good fruit,” the patriarch said in his congratulatory address to the pope. “The bilateral relations between the Russian Orthodox and Roman Catholic Churches continued developing last year. It is with satisfaction that I am pointing out the high degree of mutual understanding and the wish of both parties to strengthen Orthodox-Catholic cooperation in the name of establishing Christian spiritual and moral values in the modern world, protection of the oppressed, and service to people,” the patriarch’s press service quoted the document as saying. Patriarch Kirill wished Pope Francis spiritual and physical energy, peace, joy, and God’s help in his high service.